Tossing and turning during the night can lead to body pain, fatigue and a number of ailments. Your body needs a good night sleep to restore your cells, boost your immune system and get you ready to tackle each upcoming day. If you find yourself waking up with aches and pains, a body pillow may be the solution you need for a better night’s sleep. Body pillows can help ease body aches, reduce tossing and provide better spine alignment while you sleep. The oversized pillow can mold to your body and provide much needed support for your back. Body pillows are great for eliminating pressure on your knees, back and elbows while you sleep. They help align your spine and are known to relieve back pain. The daily stresses of standing at work, sitting at a desk for long periods of time or doing strenuous physical activity can wreak havoc on your back and extremities. Sleep is the best time to give your body time to restore itself and put your spine back in alignment. Body pillows can also be comforting for pregnant woman looking to take pressure off of their stomach and back while they sleep. Whatever your sleep problems are, there are few things to consider when deciding which pillow is the right one for you. Choosing a body pillow is important business. Finding a pillow that is supportive and comfortable is important to getting the restful sleep you need. Here are a few things to consider when choosing the right body pillow for you. Support is key to a good body pillow. With the proper support, a body pillow can take pressure off of your back and legs. This will provide much-needed pain relief. If a pillow is too hard or too soft, you may find yourself still waking up with aches and pains. Some pillows are made with down while others are made with memory foam and similar fillings. Depending on the material used, you might find a preference for higher or lower filled pillows. You’ll also want to take in to account the amount of support you need for the way you sleep. A person who sleeps on their side, may need to be supported one way, while an expecting mother may need a different type of support. If you are pregnant or a stomach sleeper looking to get off of your stomach, body pillows in a U-shape may be better suited for the support you need. A side sleeper may prefer a more traditional rectangle body pillow that can go in between your legs. The firmness of the pillow also effects the support it gives. Someone using it for in between their legs may want a softer fill, so their legs aren’t too far apart, knocking their knees and back out of alignment. A firmer pillow may be good for heavier sleepers whose legs go too close together, also causing a spine to go out of whack during the night. If the pillow is purely for comfort or for your head, the amount of support it gives is also crucial for relieving pressure and keeping you feeling cozy and comforted. When it comes to body pillows, size does matter. If you’re particularly tall or short, the size of the body pillow can affect your sleep position and where it hits your body. A pillow that is too short might not be supportive enough to relieve back pressure. Think about how you’d like to use the body pillow and where you need the support. Some sleepers prefer to lay their head on the pillow will it lays alongside of them. Others prefer to sleep with a traditional pillow under their head and a body pillow between their legs. You may prefer a longer body pillow to do both. U-shaped body pillows may be too large for sleepers who like to flip positions during the night. If you tend to sleep in the same position throughout the night, this may be a good option as you can simply flip sides and have the same pillow and support on each side. Pregnant women find these pillows particularly helpful in relieving the aches and pains of pregnancy. One downside to a U-shaped pillow is if you like sleeping touching another person. Having a cumbersome pillow between you when you’re trying to spoon, may not be ideal for those that like to cuddle. If you’re just looking to provide some comfort, a bigger body pillow may be for you. Think of it like the teddy bear you used to have when you were a kid. Your snuggly friend helped you drift off to sleep peacefully while he slept snuggled up in your arms. The material of your body pillow can also be important. If you have allergies or have a sleep environment that is prone to dust or pet hair, the type of material you chose for your pillow can make a big difference. Hypo-allergenic pillows are made from natural fibers that reduce dust built up, pollen and other household bacteria that can find their way in to the fabric of your pillow. For allergy sufferers this can mean a bad night’s sleep filled with coughing and sneezing. Waking up with sinus pressure and a runny nose, won’t help anyone get a good night’s sleep. It also might be beneficial for those with allergies to choose hypo-allergenic pillows with a removable case. Removable pillow cases can be unzipped easily and thrown in the wash. Regular washing of your pillow case and the cover to your pillow can greatly reduce the number of allergens that can build up on your pillow. Pillows used with natural materials also tend to be free of harmful and unnatural chemicals. Sleeping free of harmful chemicals will help you breathe and rest easier at night. This can also reduce skin irritations. If you’re prone to skin allergies and irritation, all-natural pillow materials will be the best choice for you. Lighter or heavier materials may also contribute to the amount you sweat at night or effect your body temperature. A heftier material may be better suited for sleepers who run cold and are looking to stay cozy and warm. A lighter material may help night sweaters, stay cool and comfortable. Regulating your body temperature during the night is key to a good night’s sleep. Being too hot or too cold can cause unnecessary discomfort that can keep you up at night. Tossing and turning, constantly covering and uncovering yourself is enough to drive anyone crazy. Breathability is a key factor to keeping air circulating and regulating your body temperature. With any pillow you want the heat from your body to circulate away from you. A pillow with proper breathability will do this. With a body pillow, this is particularly important because the pillow is touching the majority of your body. The ideal pillow is one that will move air away from your core, keeping your body and head at just the right temperature for optimal sleep. Because pillows are made of fabric, it’s also a bonus not to have sweat seeping in to your pillow. Body odor and fabric are never a good mix. Having a removable cover and the right pillow case can also help keep your pillow fresh as a daisy. If you’re prone to night sweating or running hot, you’ll definitely want a pillow that has a removable cover, so you can wash the pillow cover as often as you wash your pillow case. Many pillows advertise a cool touch so if this is important to you, it’s something to consider when buying your body pillow. Aside from the outer fabric, how dense the pillow is, and the type of filling used can also control the temperature. Pillows with solid memory foam tend to be warmer than a pillow with cooling gel or shredded foam. Down pillows can also be on the warmer side when they are densely filled. In addition to playing a role in the temperature of your pillow, the filling can affect all other aspects of pillow comfort. From support to the fit of the pillow along your body, you’ll want to take a close look at the material used to fill your pillow. Body pillows are typically filled with down, memory foam, shredded foam, gel or natural fibers. Choosing the right filling for your needs is vital to a good night’s sleep. If you prefer a higher, dense filling, memory foam may be the best option for you. The thick material is supportive and will contour and mold to your body. This snug fit is optimal for many different types of sleepers. Down filling can be light and airy but also soft and cozy. Down tends to wear over time and often needs to be re-fluffed. Down is also not a very animal friendly choice. Do the birds of the world a favor and stay away from down if you want to look out for our feathered friends. It’s also not a great choice for allergy sufferers. Shredded memory foam or combinations of shreds and all-natural fibers are gaining in popularity. Because natural fibers are free of pesticides and chemicals, they are eco-friendly and great for sleepers with allergies. 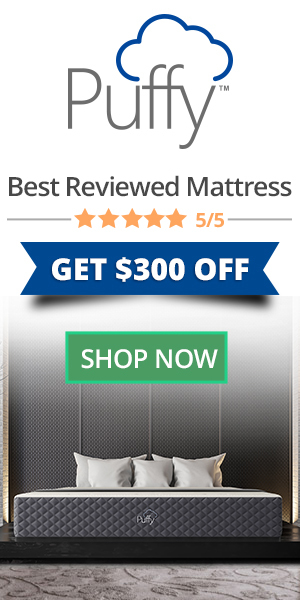 Combinations of shredded memory foam and other fabrics are also great ways to get the benefits of memory foam but with the airy feeling of down because it’s shredded. There are also some pillows on the market that allow you to adjust the amount of filling inside to give you a more custom fit. The Snuggle-Pedic Pillow is our pick for the best body pillow. The Snuggle-Pedic uses a combination of hypo-allergenic, low V.O.C. CertiPur-U.S. certified foam and Biogreen memory foam. This mix of filling gives you the best of both worlds in terms of a light and airy pillow that is also extremely supportive and snug feeling. Their unique mix of foams is the same material that fills their mattresses and is made in the United States in their Southern California factory. This pillow is designed with side sleepers, stomach sleepers and pregnant woman in mind. The Snuggle-Pedic pillow uses a mix of foam that molds to your body but is also airy enough to adjust to different positions while you sleep. The combination of memory foam is also extremely supportive. This pillow boasts ideal orthopedic support for your back and joints. The pillow cover is made of a micro-vented bamboo fabric that has a cool to the touch feel. The breathable foam filling is also ideal for people who like a cool temperature while they sleep. The shredded foam mixture also won’t flatten out like down body pillows. The removeable cover is hypo-allergenic, dust resistant and fully washable which is key for people with allergies. You can try the pillow at home for 120 nights when you contact the seller, Relief-Mart directly. There is also free shipping and a 20-year guarantee. The Mindful Design body pillow is made for sleepers who run hot. If you’re looking for a cooling pillow that will keep your body temperature properly regulated, this may be the best pillow for you. The Mindful Design pillow is made with a combination of cooling gel and memory foam to offer you full body support while keeping you cool. The memory foam is designed to fully support your back, knees and hips. The shredded memory foam used to fill the Mindful Design pillow is flexible and will support stomach and side sleepers easily. The selling feature to this pillow is it’s cooling properties. There is a cooling gel panel located within the pillow that will help disperse body heat. The cooling gel will help hot sleepers stay cool and comfortable throughout the night. This is crucial to getting a good night’s rest. The Mindful Design pillow measures, 48″ x 16″ x 9″. The gel panel inside measures 39” x 12” to help ensure full cooling coverage. The Queen Rose body pillow is our best pick for expecting mothers. The soft, ergonomic design is made to mold and support the shape of a pregnant woman. With a long, U-shaped design, the Queen Rose pillow fully supports both sides of the body. The Queen Rose body pillow is made in a unique shape to specifically support your belly, back, legs and head. It can greatly reduce tossing and turning by relieving the pressure from a pregnant woman’s back and growing belly. After pregnancy, many women also find this pillow to be great for nursing or additional support while bottle feeding or keeping a baby upright after feedings to help stave off acid reflux. For non-pregnant woman, the Queen Rose body pillow also comes highly recommended to help relieve pain from fibromyalgia, carpel tunnel, back problems and congestion. The Queen Rose body pillow comes with a machine washable, cotton pillow case that easily zips on and off. This is especially helpful when used as a nursing pillow to easily clean the case whenever there is a spit up or spill. The Queen Rose also comes backed with a 90-day refund policy if you’re not fully satisfied. The Millard Body pillow is a great option for sleepers suffering from back or joint pain. The Millard Body Pillow is made with shredded memory foam that provides a softness similar to down with the added support of memory foam. The shreds of memory foam in the Millard Body Pillow contour to your body while you’re sleeping. This pillow is not only recommended for sleeping, it’s also great for elevating your legs, back and arms to relieve pain and pressure. Because the Millard Body Pillow is softer than a lot of body pillows on the market, it’s fully bendable to hug and wrap your body wherever you need it to. This squishy pillow is great for taking pressure off of your joints. It’s recommended for side and stomach sleepers. The Millard Body Pillow fits the entire width of a full-size mattress from end to end. It comes with a bamboo washable cover that zips off for easy cleaning. The AllerEase pillow has a 100% cotton pillow cover and is filled with a hypoallergenic fiber fill. The AllerEase hypoallergenic pillow is designed with allergy sufferers in mind. The cotton cover acts as an allergen barrier to protect you from pollen, pet dander and dust that can float through the air while you sleep. For allergy suffers, who are constantly waking up congested and sneezing, getting a good night’s rest can seem impossible. Dust and dander can seep in to the fabric of your pillow causing you congestion and discomfort. The AllerEase pillow aims to combat household allergens and give you a solid night of sleep. The AllerEase pillow is covered in a breathable cotton fabric which will allow air flow to pass through the pillow case. This helps move air through the pillow and keep you comfortable and cool throughout the night. If you suffer from allergies, it’s important that your pillow comes with a machine washable cover. The AllerEase pillow comes with a cover that’s easy to remove and wash as needed. The allergen barrier bedding is recommended by allergists for its allergen reducing qualities. The AllerEase pillow is made and shipped from the United States. At a low price point of only $14.99, this pillow is a lot more affordable than similar pillows on the market. The AllerEase pillow also comes with free shipping. Sleep is so important for your health. Getting a good night’s rest is key to staying healthy and getting the restorative sleep your body needs. If you’re struggling with aches and pains a body pillow may be the solution you need to stop tossing and turning. Body pillows can help ease body aches and improve your spine alignment while you sleep. The oversized pillow molds to your body and gives your back and joints the support it needs. Whatever is keeping you up at night, a body pillow might be the answer you’ve been looking for.